Public sector organisations around the world face a stark challenge: adjust to the reality of 'doing more for less' – or even 'doing less for less' – whilst focusing on what society needs and wants, and doing all this at a time of seismic changes. The new normal is for governments and public sector organisations to deal with uncertainty while delivering services that are affordable, all set in the context of deficit-reducing budget cuts. The new PwC Future of Government report looks at developments over the last six years, with governments struggling to keep pace with changing expectations and rapid advances in new technology – with the backdrop of funds for investment in public services often drying up. "In our view, tomorrow's public body will need to act quite differently; more like a living organism, adapting to change, creating prototypes and evolving to address society's needs as they develop. Government and public sector leaders have a key role in this shift, re-focusing their organisations on their changed environments and projecting a clear and vibrant picture for the future. "One big challenge is to find new ways of how to lead strategic collaborations and partnerships with stakeholders from other sectors of society. We think terms like 'in-between space leaders' and 'interface management' are crucial for the future to make things happen." •	Sustainable outcomes: strategically building the assets for society by managing the 'capitals' needed for long-term prosperity – such as social, environmental, cultural etc. •	Transparent: being truly accountable for actions and outcomes, in today's era of eroding trust and legitimacy. 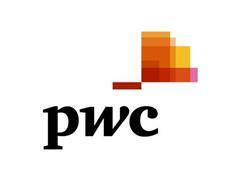 Crucially, the PwC report calls for public bodies to behave differently from the past and to be equipped with the internal management capabilities needed to channel resources effectively and efficiently towards achieving the vision. "We do not underestimate the scale of the transition needed, particularly for those with thousands of staff. Making change happen will require agile, inspirational leadership and a talent strategy which majors on attracting, developing and retaining people with the necessary attitudes and behaviours. "It will require both politicians and officials holding their nerve as they make the transition from old-style static, bureaucratic organisations to dynamic, adaptive entities capable of responding calmly but effectively to disruptive events and rising to new challenges."